Do you remember the first Moto X? The phone that impressed everyone who got their hands on it. The original Moto X was a revolutionary device which changed the way how upper mid-range phones behaved. It provided top-notch performance combined with great looks and a rather satisfying price tag. The original Moto X was revived in 2017 when the company launched the Moto X4. Moto X4 is a great device but it couldn’t live up to the expectations from a Moto X series phone. The device had everything from snappy mid-range processor to water-resistant design. But the fresh breeze that the original Moto X brought was somewhere lost. Well, the news is that Motorola is working on the next iteration of the Moto X4, the Moto X5. Naming that phone would not have been so hard, but keeping up with the expectations might be. 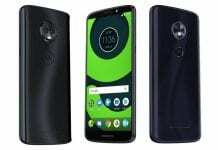 The Moto X5 has come out to the party as a source from droid-life has reported the photo of Moto X5. From what we know Moto X5 can be a device worth looking for. The next iteration in the Moto X series sports a minimal bezel display with rounded corners. It sports a 5.9-inch FHD+ display with a taller aspect ratio of 18:9. The display seems to be in line with other phones being launched in the industry nowadays. 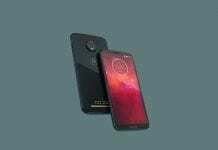 Going by the renders, the Moto X5 will also sport an iPhone X like notch sporting dual front camera system. The notch will also be home to the speaker. The status bar icons are split to both sides of the notch. How Moto implements notification icons on the device, is yet to be known. Furthermore, there is a new software button at the bottom of the display. There are no hardware navigation buttons or software buttons. This hints that Moto might be planning to introduce iPhone X like gestures which allow users to use their phone by gestures only. 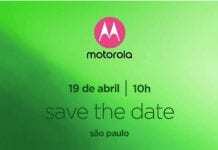 There is no fingerprint reader placed upfront but the Moto logo on the back might act as one. The phone also sports a dual camera setup at the back thus sporting a total of 4 cameras. Moto is also expected to introduce some kind of AI in the MOTO X5. 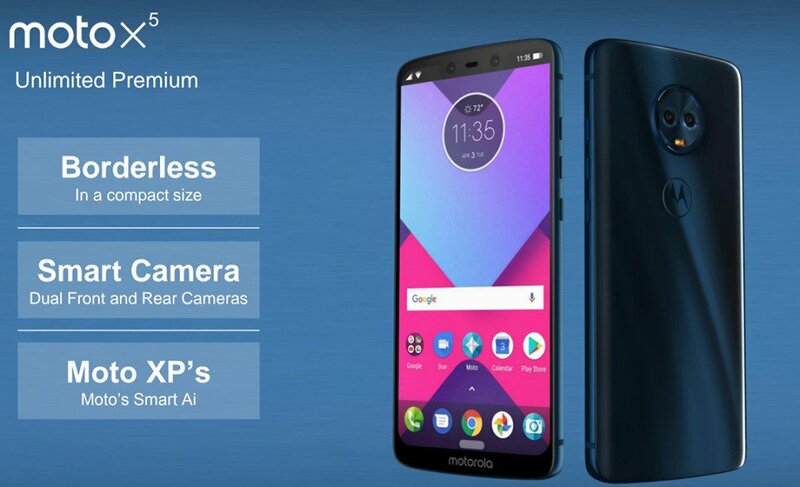 Well, other specs of the phone are not yet known but looking at these initial impressions we can expect something good is coming up.